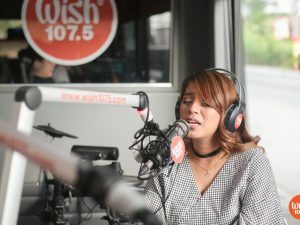 Living up to its vow to be a “wish-granting” institution, Wish 107.5 has done more than just making singing hopefuls’ dreams come true during the recently held Wishcovery Grand Finals at the Smart-Araneta Coliseum. 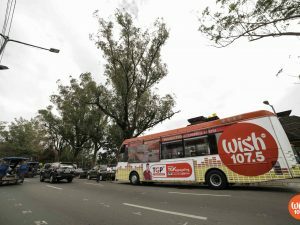 Apart from unveiling the competition’s grand champion and handing out incredible prizes to all five finalists, the FM radio station has given 100,000 pesos’ worth of cash donation to each of the chosen beneficiaries of the Wishful 5. “We didn’t know that Wish FM spearheads charitable programs like this. We share the same values, we share the same mission. 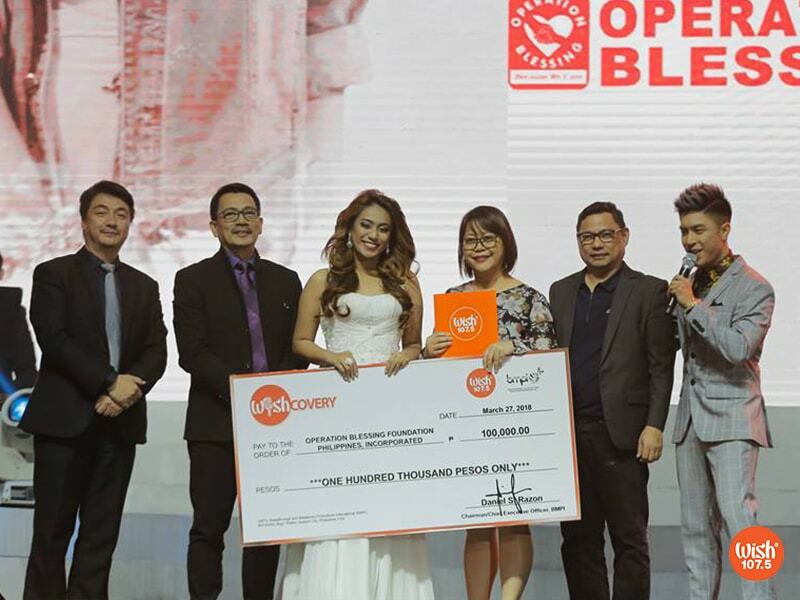 Thank you because you are not just entertaining people, you are not just discovering their talents and gifts — you are also sharing your blessings to people in need,” Gigi Endaya, Communications Manager of Operation Blessing Foundation Philippines, Inc., enthused. The said foundation lends a helping hand to the “most neglected and economically disadvantaged people” in the country and in the Asian region. 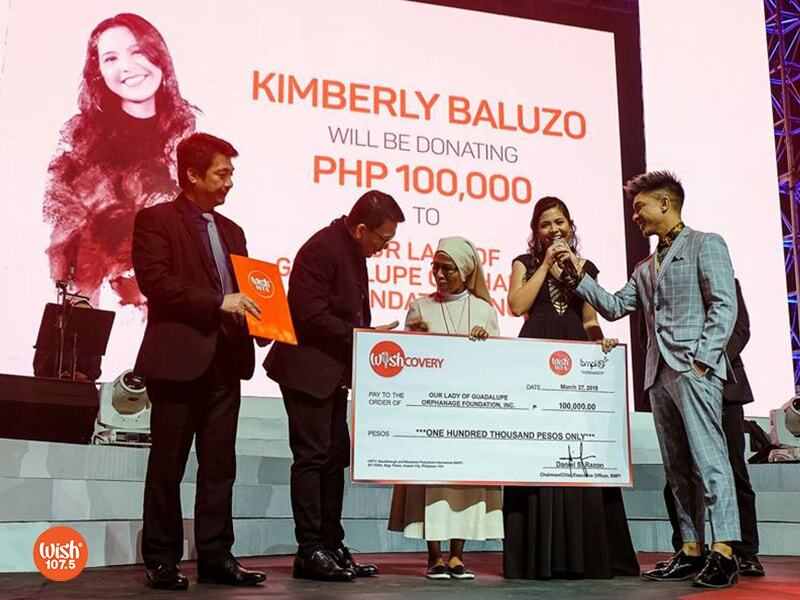 According to Sister Maria Pureza Dalapo of Our Lady of Guadalupe Orphanage Foundation Inc., the beneficiary of 1st runner-up Kimberly Baluzo, the said philanthropic deed is significant to their organization. Wishcovery originator and BMPI CEO and President Kuya Daniel Razon (second to the left) offers a shakehand to Sister Maria Pureza Dalapo (center) of Our Lady of Guadalupe Orphanage Foundation Inc. Also in photo are BMPI’s Vice President for Radio Mr. Gerardo Etorma III, Kimberly Baluzo and host Kris Lawrence (L-R). “This donation is a very big help because we have a great need for children’s medicines and daily needs. Thank you and good luck, Kimberly! May you pursue your wish because this is a big stepping stone for your future,” she remarked. Meanwhile, Ayne Garcia, who works with the Coalition of Services of the Elderly (COSE), Inc., expressed her gratitude to the competition’s 2nd runner-up, Louie Anne Culala. “Thank you very much for choosing the elders’ sector as your beneficiary. Very few give attention to us. We are happy that someone young like you consider us important,” the COSE Communications Coordinator said to the 20-year-old Bulaceña singer. Third runner-up Carmela Ariola also received a warm message from the charitable group she picked. “To our Wishful Carmela, thank you very much for your donation. We wish you luck!,” Director Johnald Lasin of the SOS Children’s Village – Lipa City stated. On the other hand, Lara Mae Madriaga, a social worker at the Chosen Children Village Foundation Inc., claimed that the province of Cavite must have been proud of Hacel Bartolome, who eventually won 4th runner-up. “You are such a blessing to us,” Madriaga added. 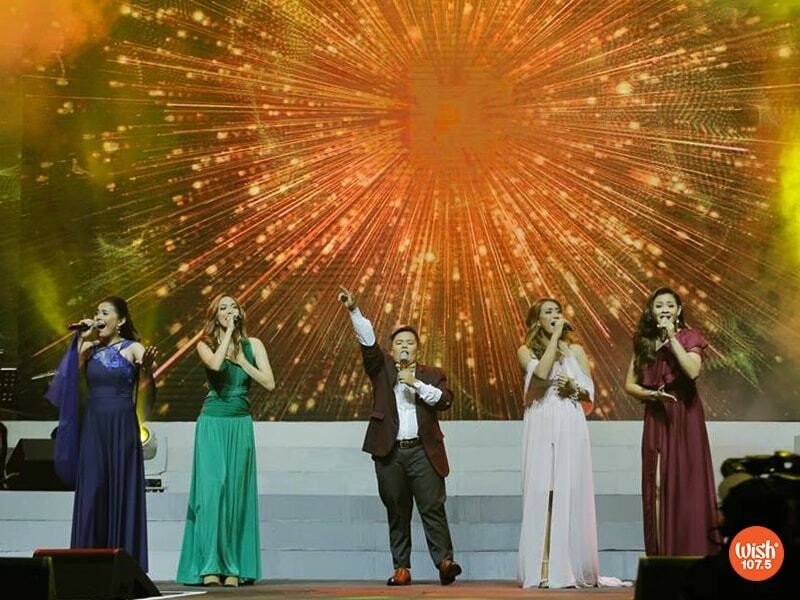 Kimberly Baluzo, Carmela Ariola, Hacel Bartolome, Princess Sevillena and Louie Anne Culala (L-R) share their gift of music during the Wishcovery Grand Finals held at the Big Dome on March 27, 2018. Making their stint at the online competition more memorable is their chance to pay their success forward by donating Php 100,000 to their respective beneficiaries. On behalf of the Wishfuls, Sevillena also thanked the station for helping them reach out to the underprivileged. “Wish 107.5 has granted our wish to extend assistance to others. We are blessed because even if we are in a competition, there is still the concept of public service. Wishcovery has taught us how to share the blessings we receive,” she said in an interview. 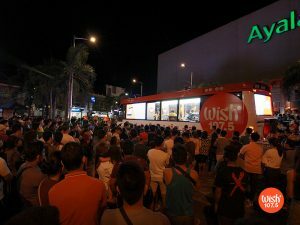 Besides giving away half a million pesos to the said organizations, Wish 107.5 also granted the Wishful 5 the chance to mount different public service-oriented activities in their respective hometowns weeks before the grand finals.